As you know I'm the Masterchef's dead-serious-die-hard fan. This recipe is nevertheless from the Poh's Kitchen Cookbook. 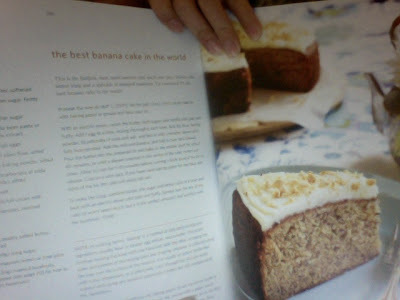 The Best Banana Cake in the World in on page 210. I love bananas! and I love banana cake! I have never make one myself before! So I made one for myself just now!!! I have invited Alice over to bake with me :D I love baking with a friend because I love to eat the cake together once it's out from the oven! Fresh! The cake was indeed taste really nice. Cake was just nice, fluffy and moist. 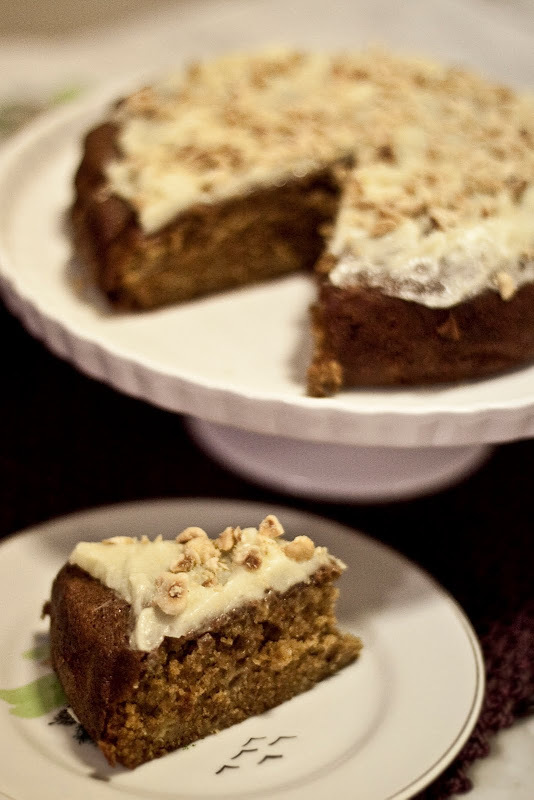 Topped with lemon icing and crushed roasted hazelnuts... and a cup of hot tea.. oh yum... So good for wintery nights!! I love banana cake~~~ *heart* !! If you are interested in making one too, here is the recipe!!! Preheat the oven to 160C (150C fan forced). Line a 20cm round cake tin with baking paper or grease and flour your tin. With an electric mixer, cream the butter, both sugars and vanilla until pale and fluffy. Add 1 egg at a time, mixing thoroughly each time. Add the flour, baking powder, baking soda and salt and fold in with a wooden spoon until fully incorporated. Add the milk and banana, and fold in. Pour the batter into the prepared tin and bake on the middle shelf for about 40minutes, or until a skewer inserted in the centre of the cake comes out clean. Allow to cool for 5-10minutes before running a knife around the tin to release. Cool on a wire rack. If you have used baking paper for the base and side of the tin, the cake will easily fall out. To make the icing, combine butter, the sufar and lemon juice in a bowl and beat with an electric mixer until pale and fluffy. Spread over the top of the cake. 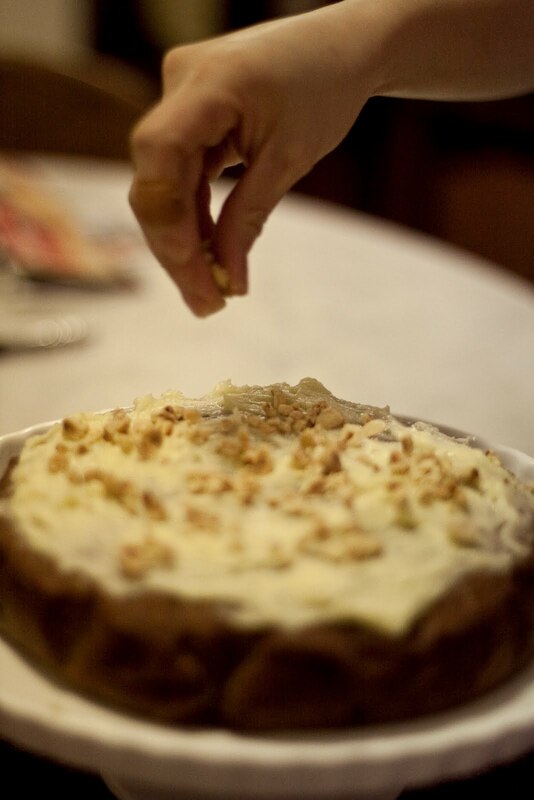 (it won't seem much, but it's the perfect amount) and sprinkle with the hazelnuts. wow! the Best Banana Cake you & friend made looked really good!! i love banana cake too...too bad banana is expensive nowadays. 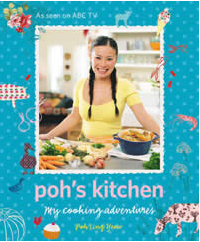 also, i have poh's cookbook too...but havent try any recipes yet...lol...now u inspired me! everybody that tasted the cake, says it's really good! So I guess this is the best banana cake in the world! Baked this banana cake today,it tasted amazing. Thanks Poh for the recipe. do you have to flour the tin? Right now I have a nice collection of overripe gross bananas in the freezer... I hate bananas but my hubby would scarf this cake down in a day!